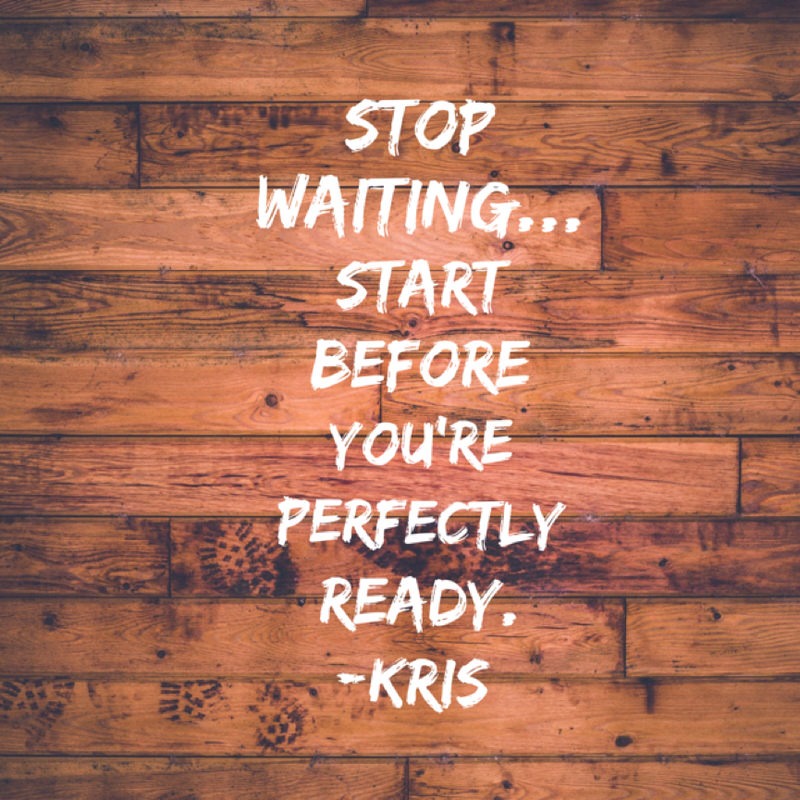 Are you waiting to start? You were all excited about the plans you created for yourself and your business to kick off the year, yet you find yourself waiting to start. When you’re in the creative and brainstorming process, the possibilities can feel endless, you’re ready to grab the opportunity and tackle each challenge to get a solution. Your adrenaline is pumping and you’re ready to jump all in. Then you start putting a plan together, your white board is full and you’ve got paper all over the walls of your office with the layout of the plan. You’ve gather data, talked with “experts” and before you know it you’ve come to a screeching halt. The planning has sent you into overwhelm and now it seems like an insurmountable endeavor! Over the years, I to have experienced this many a time and I’ve also witnessed it happening with my clients. What I’ve discovered is there’s a common mind trap that often occurs. Thinking the plan must be completed and perfect before you will be ready to start! The advantage of just starting is you begin the process of learning. Each step provides new insight to help inform the next step and the next step. Imagine you have your end goal in mind, you draft out a few milestones you believe will help get you there. Then you create the first one or two small steps to begin your journey to the first milestone. What would that feel like? For most people this approach feels much more empowering and less daunting. One of the reasons my clients belabor the planning process is the fear of failing. Failure is always a possibility; however, it also helps sharpen our skills so the next attempt will be a bit better. Remember, perfect doesn’t always equal success. You can waste a ton of energy striving for perfection. Most times one misstep in the plan doesn’t mean it is a complete bust! When I take a misstep, I pause for a moment and discover what the misstep is teaching me, apply the learning and carry on. What are you waiting to create in your life or business? If planning and perfection has you in overwhelm and stuck, what might you do differently to get you started toward your goal today? If you would like to talk more about moving forward in your life and business click here to set up a discovery session with me today to.